Are you looking to recruit a Lady Tradie? or Looking for Work? ​Lady Tradies works with organisations who are open to equal opportunities for females in a Trade or Non Traditional Role. We offer companies a place to advertise your available positions as a 1 off, or on a regular basis, & the women seeking those roles regularly look here for them. Advertising directly to your target market not only highlights your company as a forward thinking EEO employer, it brings your company positive exposure in the workforce arena & most importantly, the right applicant for the job! From Apprenticeships, (of any kind or year), or work for those already qualified; Full Time, Part Time, Contract or Temp. If you need a Lady Tradie, or would like a woman for the job, please get in touch with us, as we'd love to help. For those looking for work - you've come to the right place, as all employers listing below are clearly looking to balance up their female work force & isn't that a great! Check out the current positions available below & keep checking back, as new jobs open up regularly. For more information, call or email us today & let us help you find your next Lady Tradie. Please note that some of these positions may have recently been filled & we have not been advised. To apply, for these roles, please follow the links provided. Are you looking for a role where no two days are the same? If you enjoy doing general maintenance in a customer-service environment we would love to hear from you! The Woolworths Group is a proud, home-grown Australian business, with some of Australia’s most recognised and trusted brands including Woolworths, Dan Murphy's, BWS and BIG W. We employ more than 205,000 people and a committed business partner of many thousand local farmers, producers and manufacturers. You will play a key role providing in-house non-urgent building and shopfitting maintenance type works logged by our Woolworths stores. This role has a focus on conducting routine checks and audits, providing these maintenance works with efficiency, cost effectiveness and safety, all with a minimum of disruption to our customers. The role covers a territory of approximately 47 stores in the West and South West Brisbane Region including Toowoomba and Warwick, Roma. An exciting career - as our business grows, so do the opportunities for our people. We are driving inclusion and diversity as Ways of Working. If you meet a number of the requirements (but not all) we would still encourage you to submit your application. Please click here to see the full Position Advertisement, with the application link. Below are some the previous roles & organisations we've worked with. These positions have now closed or been filled & we thank these organisations for their support. Westfarmers welcome people with different skills, and life experiences and encourage individuals from diverse backgrounds to apply. Were recruiting 150 expeditioners to support the 2019-20 Australian Antarctic Program. ​Australia’s activities in Antarctica from scientific research through to logistics and transport are coordinated through the Australian Antarctic Program. This is led by the Australian Antarctic Division of the Department of the Environment and Energy. 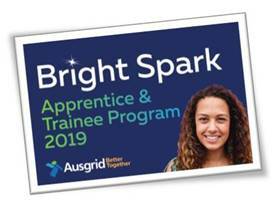 Ausgrid had a number of Electrotechnology Apprenticeships & Business Traineeships across the Sydney East, South West and Hunter regions of NSW for commencement in Jan 2019. Fire & Rescue NSW is a world-class emergency service organisation. ​They were looking for community-minded, widely-skilled, team players to join its ranks. Were seeking a qualified Electrical Technician to join their Operations Team in Darlinghust NSW. ​Jims Mowing were looking for an experienced gardener/horticulturist/landscaper to join their growing business and provide garden maintenance services, and soft landscaping to a variety of customers including domestic, body corporate and commercial. Maintenance & Manufacturing Opportunities in Qualified Trade & Semi-Skilled Roles. ​​Maintenance Plumber - Sydney Sorry, this jobs been filled! ​Well established Australian Plumbing company that has been trading for over 20 years, they pride themselves on offering high quality service to their corporate and blue chip clients throughout Sydney. Because of continued growth they are requiring highly motivated Maintenance Plumbers to join their growing team. Electrical and Instrumentation Technician Sorry, this jobs been filled! GPS Telematics - ​Field Technician This position was advertised in July 2017 & has now closed. Do you…love working on trucks, buses & cars? Love new technology & interacting with people? This company partners with national companies to install the latest advanced technology in driver fatigue & fleet management systems. Maintenance Planner Position This position was advertised in May/June 2017 & has now closed. Part of the Wesfarmers Chemicals, Energy & Fertilisers (WesCEF) Division, our Sodium Cyanide business manufactures and supplies sodium cyanide to the Western Australian and international gold mining sector through Australian Gold Reagents Pty Ltd (AGR), our 75% joint venture with Coogee Chemicals. Multiple Roles with The Australian NAVY: These roles were advertised in March/April 2017. ELECTRICAL APPRENTICESHIP - BRISBANE BASED Sorry, this jobs been filled! This position has now been filled, but keep checking back for more positions like it. NEWCAS﻿TLE T﻿RADE ASSISTANT OPPORTUNITIES Sorry, this jobs been filled! Responsible for ensuring the reliability & safety of Aurizon’s rolling stock fleet in NSW, by effectively maintaining & repairing locomotives, wagons & associated components. NSW - Newcastle Area - 3 Painters Positions! Sorry, these jobs have been filled! A local Newcastle company has 3 apprentice painters roles open, for 2nd, 3rd & 4th year apprentices. ​Applicants must have a driver’s license. Sorry, these jobs have been filled! ​If you are a qualified Boilermaker, Mechanical Fitter, Rigger, Scaffolder or Electrician, a prominent national company has regular shutdown work in the Pilbara WA & is always on the hunt for experienced tradies. They're seeking a number of people for fixed plant maintenance shutdowns & would love to have more women on board! 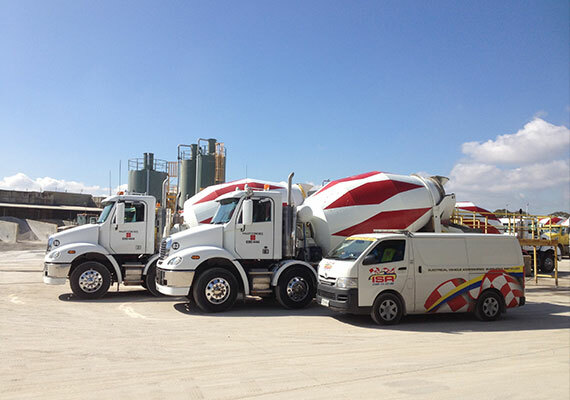 NSW & VIC - Sydney & Melbourne Areas - Sub Contractors Sorry, this jobs been filled! A firm based in both Sydney & Melbourne are looking for Sub contractors to do measure/quote and installations of retractable fly screens and security doors. We are Sydney based and are looking to expand. NSW - Newcastle Area - 1st year Electricial Apprentice Sorry, this jobs been filled! Are you a potential Lady Tradie in the making? 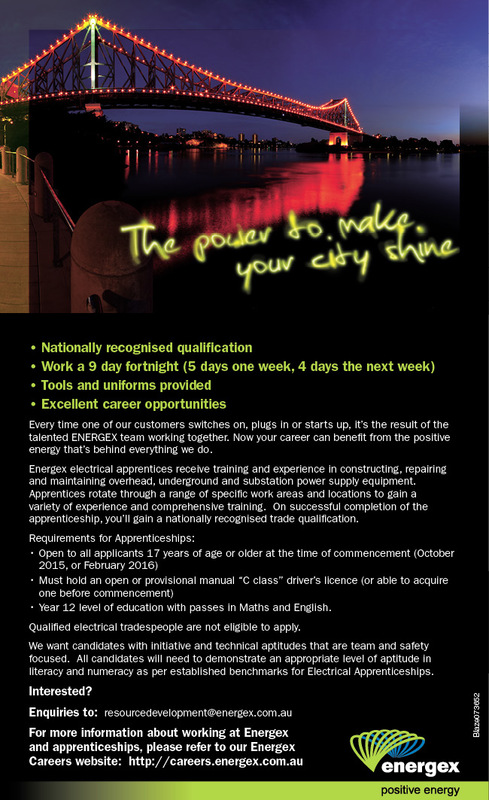 Interested in a 1st year Electrical Apprenticeship in the Newcastle Area? This well known client is looking to take on a 1st year & is very open to taking a new, willing Lady Tradie as their new apprentice.